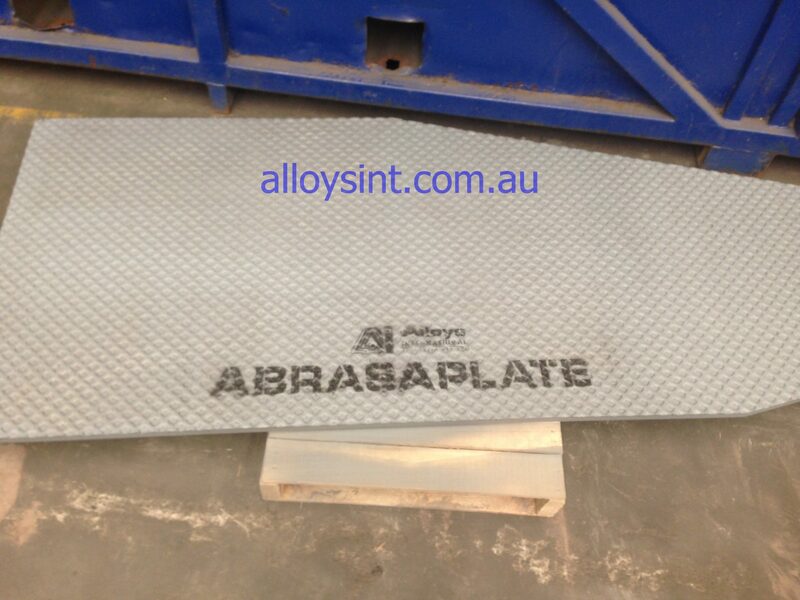 A general purpose chrome-carbide overlay plate suitable for application in various positions. 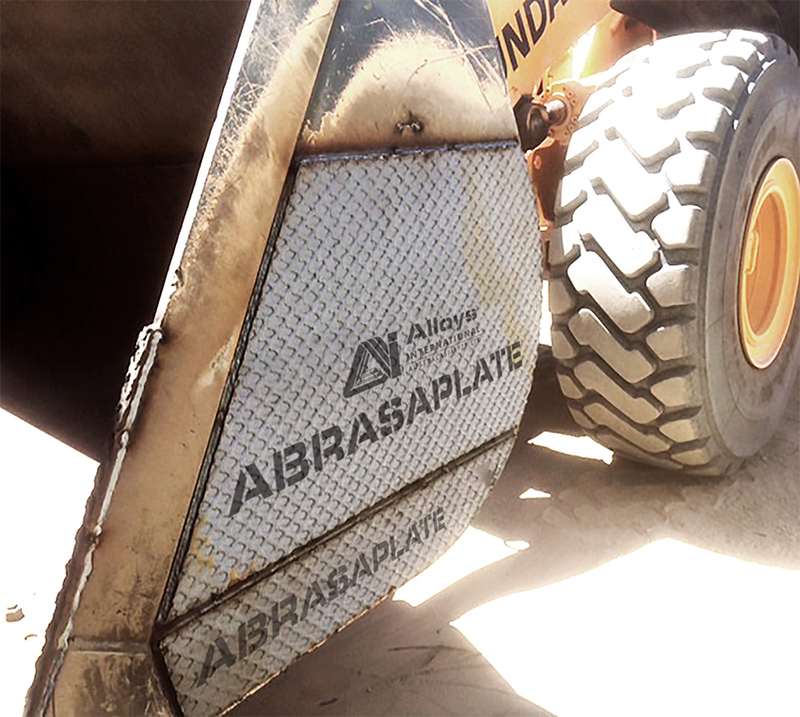 High impact and abrasion resistance. 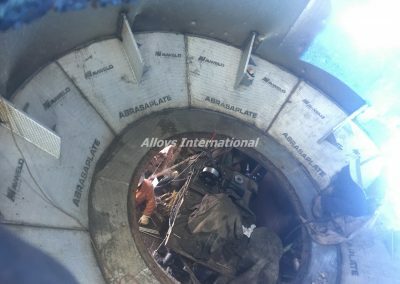 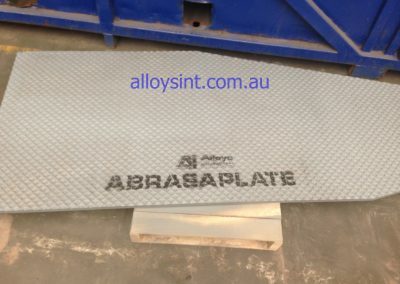 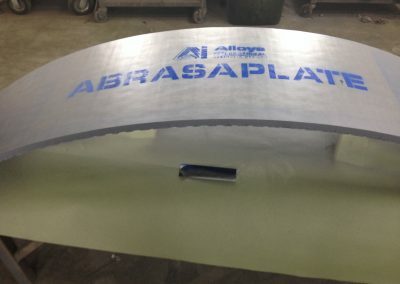 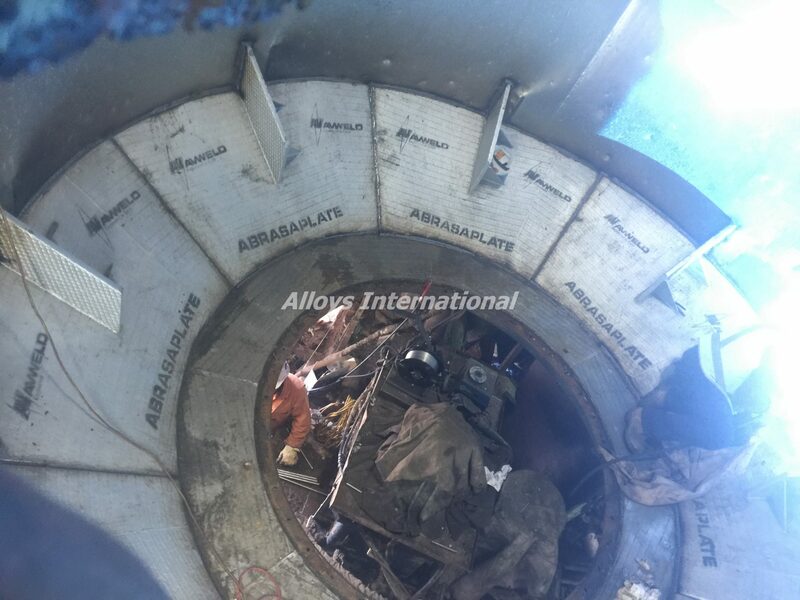 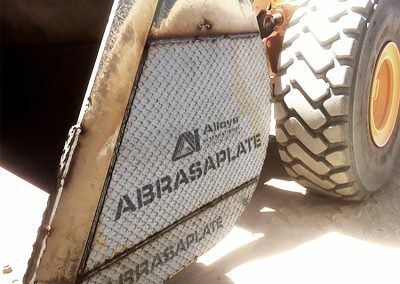 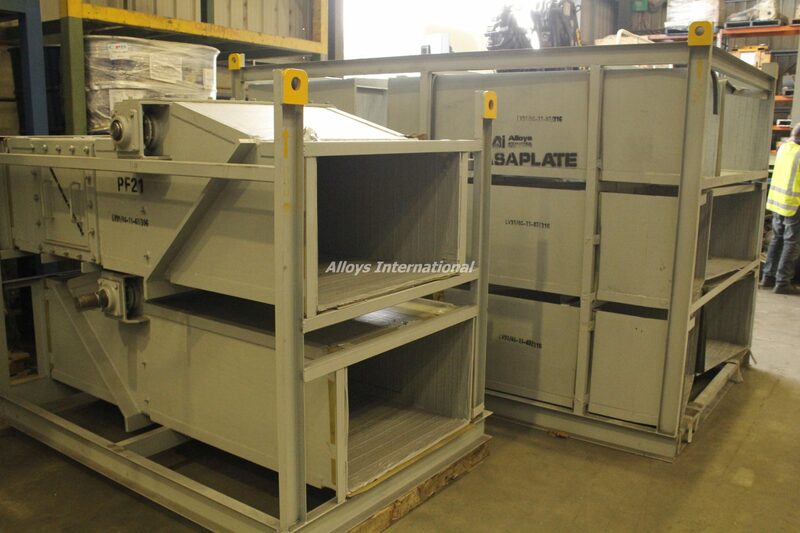 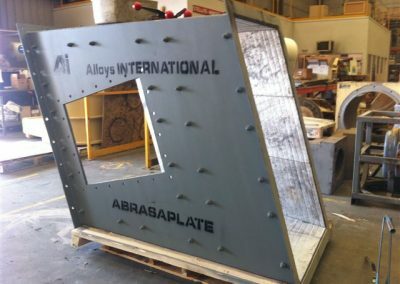 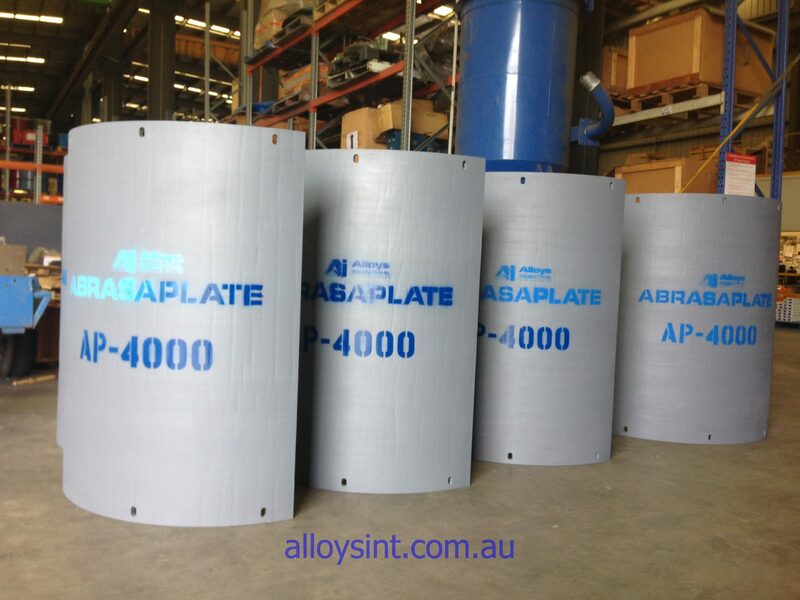 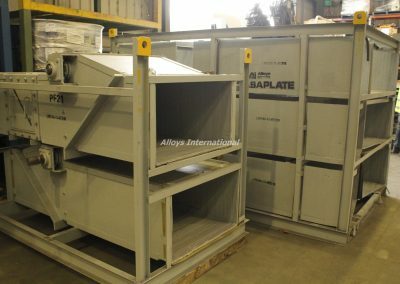 Alloys International’s AbrasaPlate® is a high quality chrome-carbide weld overlay (CCO) wear plate. 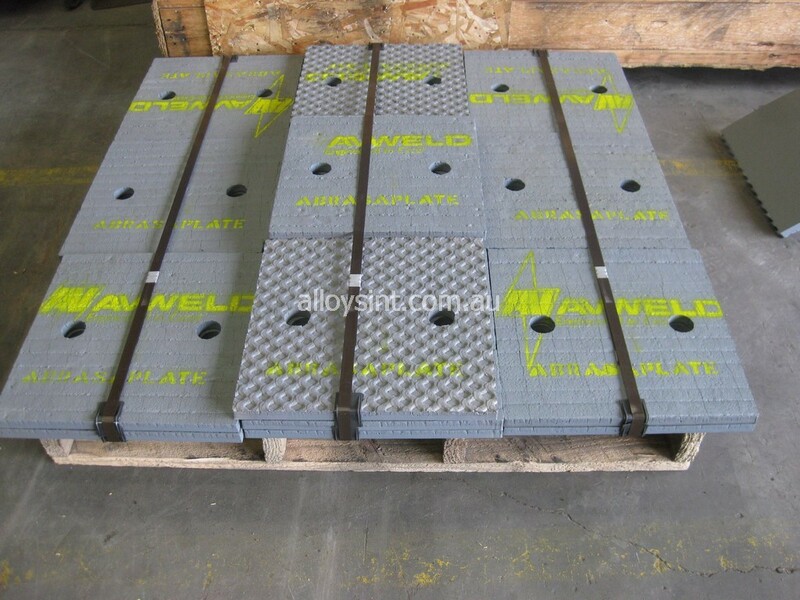 It is available in various dimensions of hardfacing overlay, and mild steel backing plate. 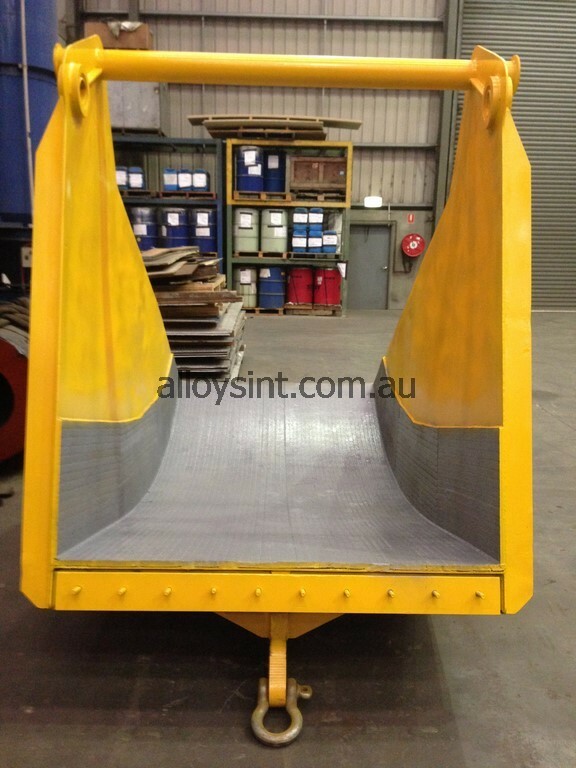 It is easy to work with, and can be rolled, welded, and formed. 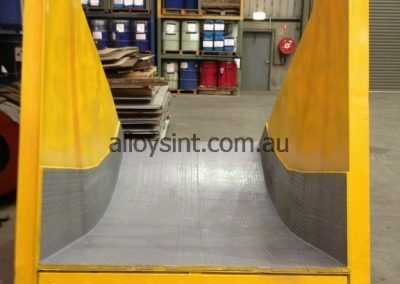 It is available in standard sheets of up to 2.2x3.0m, or cut to size for a specific application. 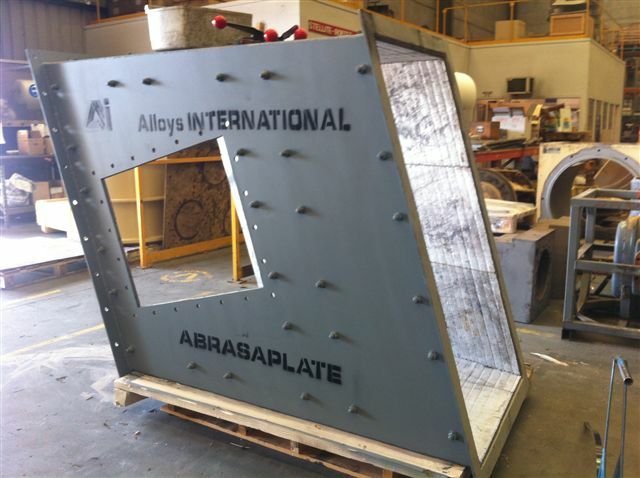 Alloys can supply AbrasaPlate® with studs welded or holes drilled. 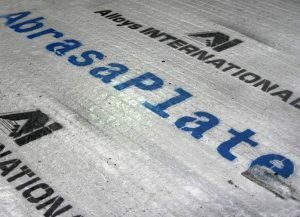 AbrasaPlate® is commonly used for a replacement in applications where Q&T plate is inadequate. 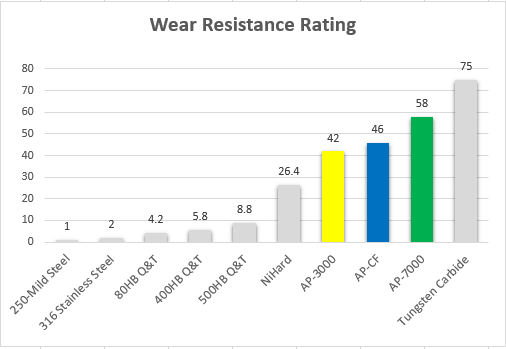 Typical life extension over Q&T 360 is a minimum of 4 times, and can be up to 10 times, depending on application. 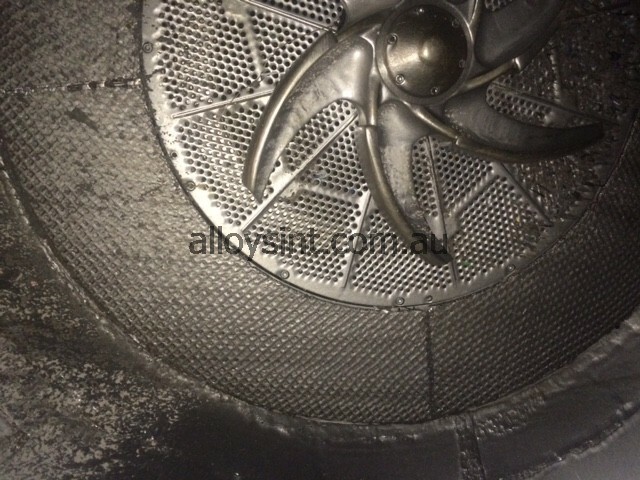 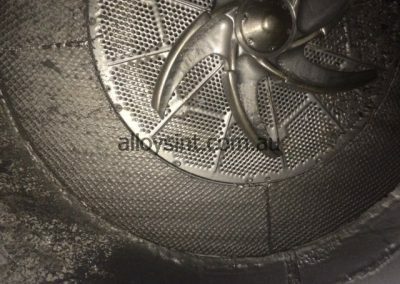 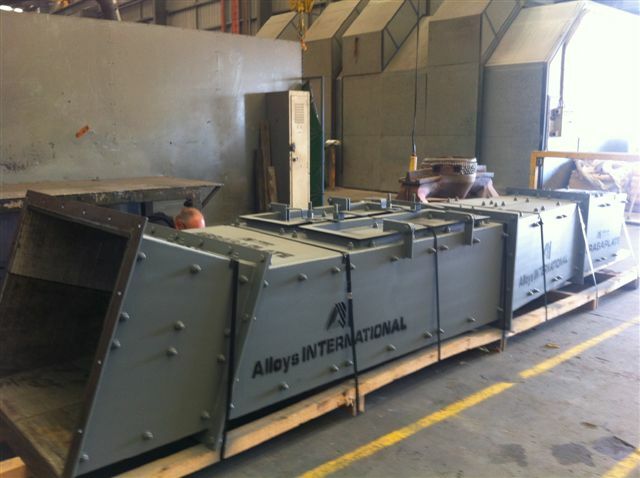 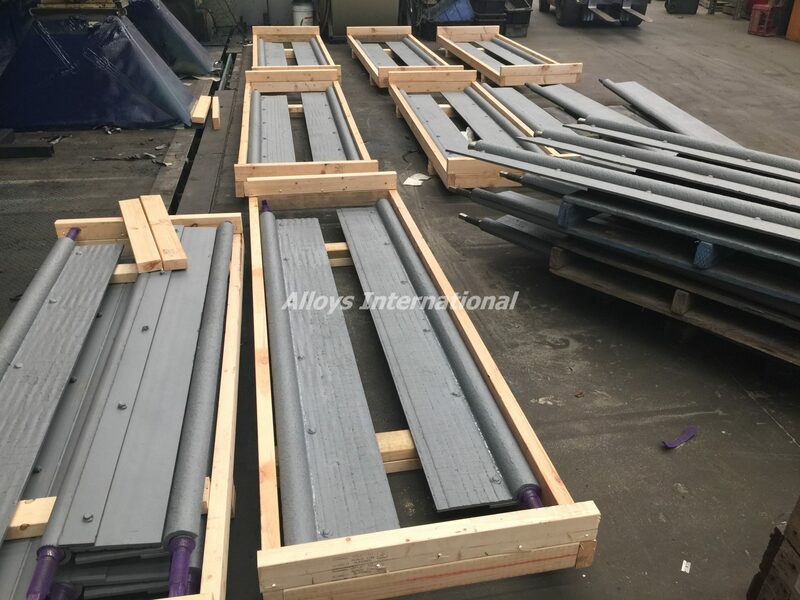 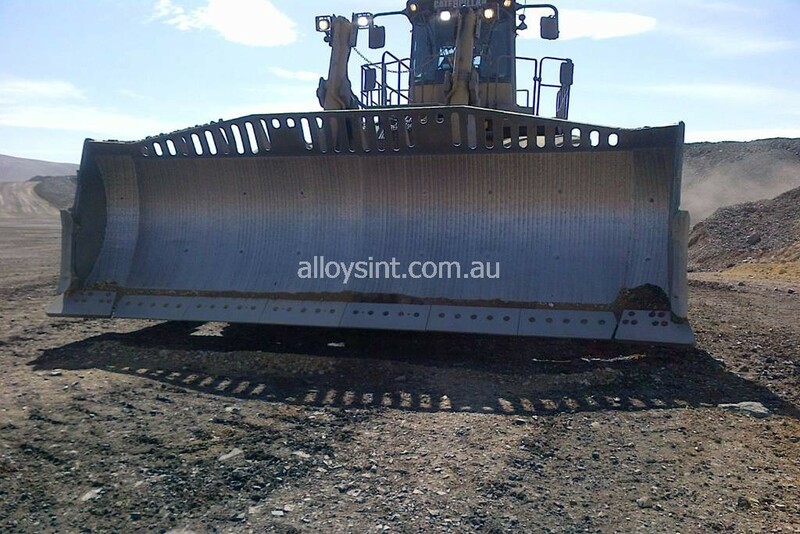 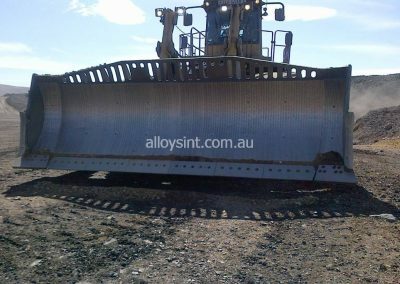 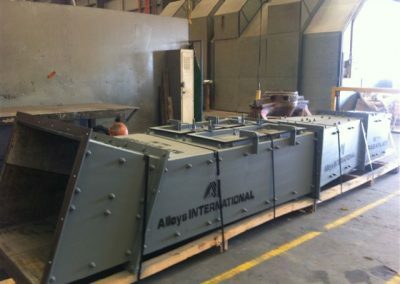 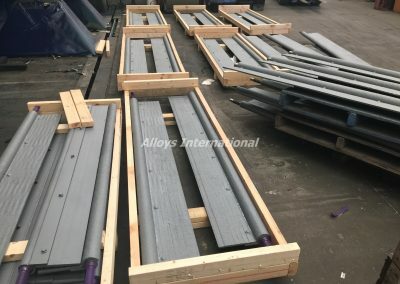 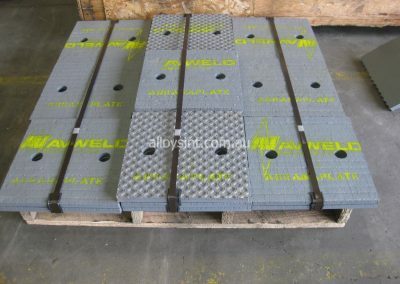 Alloys International have been the East Coast of Australia’s leading Wear Plate distributors for over 30 years. 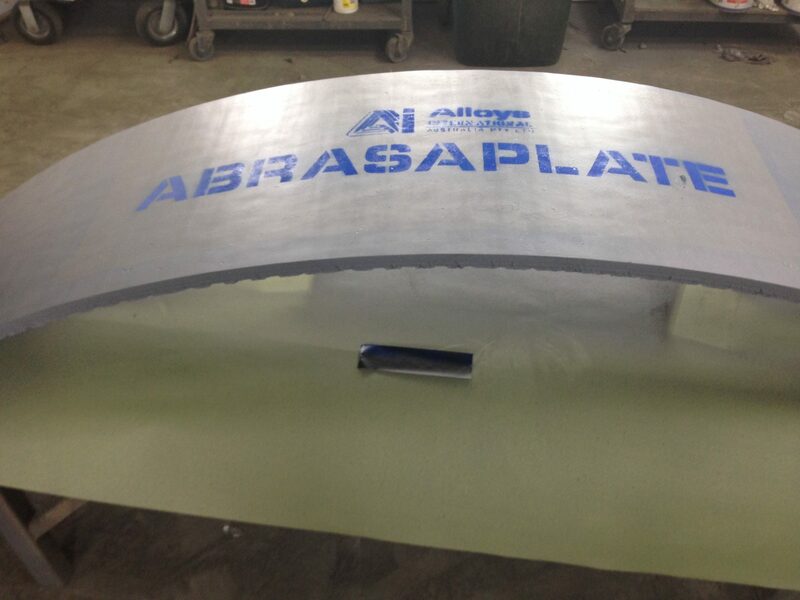 AbrasaPlate®-CF – Smooth, Crack-free wear plate to reduce hang-up.